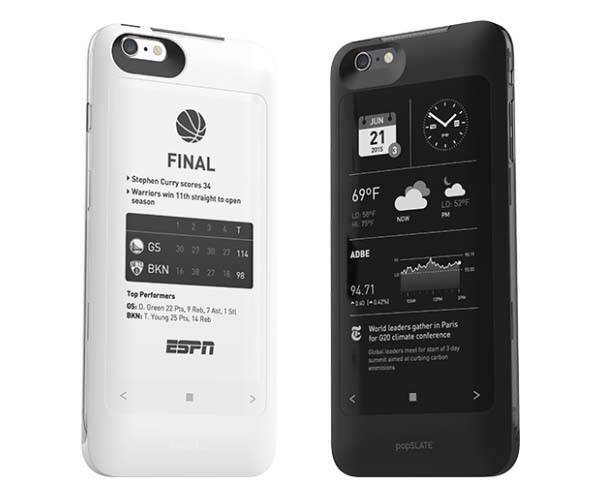 With an E-ink display, popSLATE iPhone case series has attracted many users. Now their latest popSLATE 2 iPhone 6s/ 6s Plus has been available, which delivers an integrated E-ink display and backup battery. The popSLATE 2 is a unique and practical protective case that comes in two models for iPhone 6/6s and iPhone 6/6s Plus. Compared with popSLATE iPhone 6 case, both second generation popSLATE iPhone cases show lighter and slimmer design, and each case only adds 0.16″ to your iPhone. Meanwhile, smooth sides and matte finish deliver a comfortable and form grip. Similar with its predecessor, each popSLATE 2 iPhone case features an always-on E-ink display on the back, and both displays are larger than the display quipped in original popSLATE, the iPhone 6s case has a 4.3″ E-ink display, and the iPhone 6s Plus case features a 4.7″ E-ink display. Furthermore, both displays features curved appearance in order to deliver a larger viewing field, and their 200 dpi resolution ensures the displays clearly show you text and images. Using its companion app, you can customize content that will be streamed to the rear display of your iPhone including personal dashboard, news feeds, to-do list, digital cards, ebooks, your own photos, personalized clock face. Moreover, three capacitive-touch buttons let you seamlessly switch between functions and navigate your content. 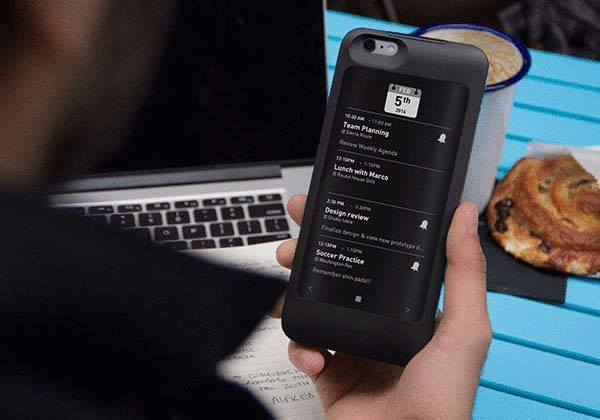 Additionally, each popSLATE 2 iPhone case also features built-in backup battery that gives you additional 9 hours of talk time or 4 hours of browsing, and its robust construction and shatterproof screen protect your phone from bumps and scratches. The popSLATE 2 has been available for preorder on Indiegogo. 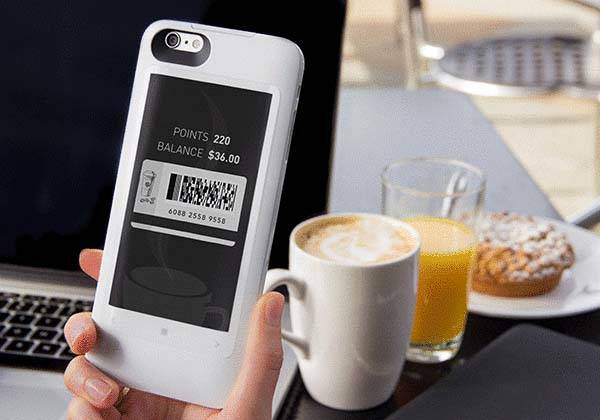 You can pledge $69 to preorder the iPhone 6s/ 6s Plus case in black or white. Both models will be shipped in July 2016.